A Community Market is held bi-monthly on the 2nd Saturday from 10:00-12:00 February, April, June, August, October and December around the Institute and Memorial Green. This is a market for locally produced food and crafts and is run by volunteers and some Councillors. 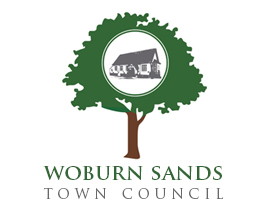 Woburn Sands Town Council produces a quarterly newsletter delivered free to all residents in the parish. It is published in January, April, July and October.